I have a pretty much endless mental list of natural history mysteries that I would like to follow up on at some point, but there are several that, for various reasons, are in the front of my mind right now. A few of these are things that should be looked for in the spring and that I think it’s unlikely I will have a chance to look for this year. So I thought I would put them out there, one at a time, for those of you who like to have a mission when you go out exploring. As an extra incentive, if anyone is able to find larvae or pupae of any of the insects I have in mind, I promise to drop whatever I’m doing at the moment and make a page on this website detailing my methods for rearing leafminers, gallmakers, and other insects. Galls are hollow, elongate swellings of young twigs, from which emerge, about the first of June, single Cecidomyian flies from a perforation near the base. Length of gall one half inch to one inch. That sort of thing doesn’t fly anymore, but according to the International Code of Zoological Nomenclature, species names based on the work of an animal are valid if they were proposed before 1931. In the same 1897 paper, Patton named five other hackberry galls that had been described, but not named, in a previous publication. He placed all of these in the genus Cecidomyiaceltis. All six of the species names Patton proposed for hackberry gallmakers are still considered valid. The problem is that in the spring of 1982, Ray Gagné determined that Cecidomyiaceltis deserta is actually an agromyzid fly (agromyzids are commonly known as “leafminer flies,” but some have other habits including gallmaking). He noticed the galls forming in the Washington, DC area in the second week of April, and the larvae exited at the bases of the swollen twigs in the first week of May. Unfortunately he was unable to rear adults, but the larvae formed puparia, and agromyzid puparia are easily distinguished from the naked pupae of gall midges. Since Patton apparently did not preserve any insect specimens associated with his galls, we can only speculate as to whether he saw the agromyzid larvae emerging and mistook them for gall midge larvae, or possibly only saw the exit holes and assumed that “Cecidomyian flies” had emerged. Because C. deserta was the first described species of Cecidomyiaceltis, it is the type species of that genus, and Gagné had to create a new genus, Celticecis, for Patton’s other five species, which really were gall midges. As I discussed in this post, there are now 21 recognized species in Celticecis***. Two of Patton’s species, C. spiniformis and C. capsularis, are featured in that post. There isn’t any native hackberry growing anywhere near me, which is why I’m putting out this call for help. In addition to the east coast records mentioned above, these galls have also been found in Kansas (where they were believed to be the work of some unknown moth), so it is probable that these galls could be found anywhere that hackberry is common. Who’s up for the challenge? ** Gagné, R. J. 1983. Celticecis (Diptera: Cecidomyiidae), a new genus for gall makers on hackberries, Celtis spp. (Ulmaceae). 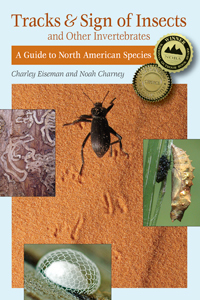 Proceedings of the Entomological Society of Washington 85: 435–438 [online here]. *** Gagné, R. J. and J. C. Moser. 2013. The North American gall midges (Diptera: Cecidomyiidae) of hackberries (Cannabaceae: Celtis spp.). Memoirs of the American Entomological Society 49: 1–103. [online here]. This entry was posted in Unsolved Mysteries and tagged Agromyza, Agromyza varifrons, Agromyzidae, Cecidomyiaceltis deserta, Cecidomyiidae, Celticecis, Celtis, Celtis occidentalis, gall, hackberry. Bookmark the permalink. If you look this month, hopefully you can find some with the larvae still inside! The road to Cannon Hole in Barton NY is lined with “tons” of Hackberry trees between the road and the river. Will try to get down there to check. However, the trees are large, so not sure I will be able to see anything. I collect berries as I start new trees each year for caterpillars in my yard. Maybe there are some saplings under the big trees? I don’t know how big a hackberry needs to be to attract these flies. I have a few small Celtis occidentalis trees at the edge of the yard, so I will keep an eye out. Do you know if they also use Celtis tenuifolia too? Not sure, but I wouldn’t be surprised. 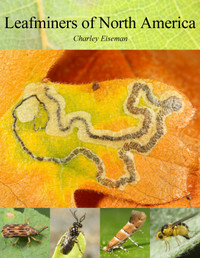 Gallmakers and leafminers tend to be specific to a host genus, rather than to a single plant species. I’ll try to check both species. Every spring, I thought my hackberry here in Farnham, Quebec, had suffered frost damage, because the terminal twigs on each branch would not leaf out in spring. Now I will check more closely throughout the month. Can you please tell me how to preserve these bugs so I can send them for identification if need be. Would you want to see them? Also this Hackberry’s leaves are completely galled up each year. This is a tree I planted for caterpillars in my yard also. It is not in its’ ideal habitat, which is riverbanks, in this northern extension of its’ range. Because of the fly’s annual life cycle, I suspect that adults would not emerge until early the following spring. The first step toward rearing adults would be to put galls in a vial, ziploc bag, or some other transparent, sealed container. If anyone is able to collect some galls, I will post details on what to do next. Thanks for the great info. on this species. I will be on the look-out for this gall, especially along Lake Erie and on the Lake Erie Islands where we have many hackberry trees. Thanks for the heads-up. Hi Judy– Thanks for keeping an eye out, and good to hear from you! I collected about 8 of these galls over the weekend, and the first larva had emerged this morning. So, as you promised, please drop whatever you are doing and make a page of protocols 🙂 For the moment I will put the larva into a snap-cap vial with a snippet of foliage to provide humidity. Great! Take a look at this and let me know if you have any questions.